If you’ve purchased dairy-free ice cream in the stores lately, I’m sure you’ve cringed at the cost. A pint of ice cream is $5 or more in my area, which is just not cool. Being able to make it at home is SO much cheaper and if you have an ice cream maker, doesn’t even take that long. 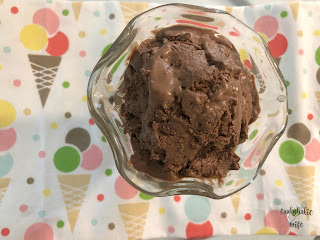 I opted not to use my ice cream maker this time because I have the attachment for the Kitchenaid Mixer and it was otherwise engaged making another recipe for me. So it did require a bit more patience, letting it freeze up for half the day, but at least I was busy and managed to forget about it for a few hours. I’ve tried making dairy free ice cream with almond milk and cashew milk but none come out as good as when you use a can of full-fat coconut milk. The necessary fat is there to create a creamy texture that is more similar to traditional ice cream. Using a lower fat milk results in more of a granita-like consistency. 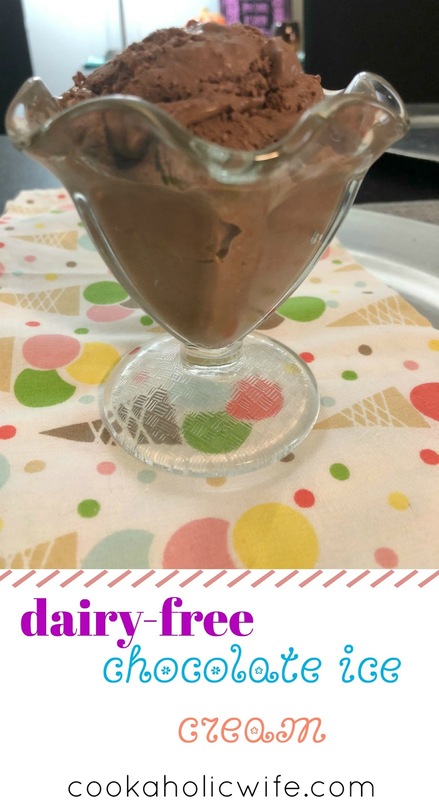 Usually for Choctoberfest, I go all out and find crazy chocolate recipes to share with you, but I wanted to keep it simple this time and go with a 5 ingredient easy dairy-free ice cream…. I’m kidding. 😇 Check back tomorrow to see why I made this ice cream and what it gets used in! Dairy-free homemade chocolate ice cream using coconut milk and cocoa powder. 1. Combine all ingredients in a blender and process on high speed until fully combined and creamy. 2. Pour into a freezer safe container. 3. Freeze for 4-6 hours, stirring halfway to make creamier. 4. Alternately, pour into an ice cream maker and follow manufacturer instructions to process. 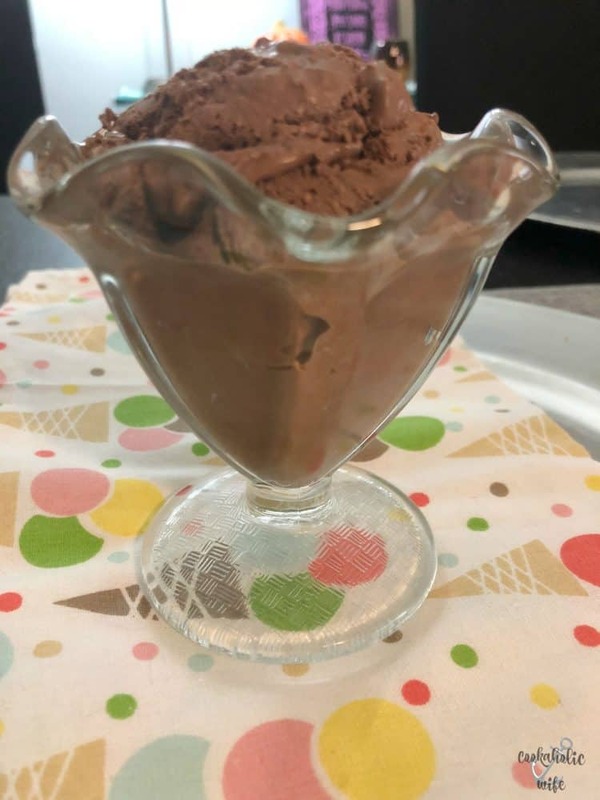 If ice cream is too hard, allow to sit out for 20 minutes or microwave at 50% power in 15 second intervals until it reaches the desired level of softness. Creamy, chocolate-y and delicious! You can hardly tell that this isn’t ice cream make with dairy products. If you’ve never used a Dutch-processed cocoa powder before, I highly recommend you pick up some of it from Rodelle’s because you’ll never go back to the cheap stuff again! When cocoa is Dutch-processed it makes a more consistent and rich flavor. And if there is anything you want in a chocolate recipe, it’s for your chocolate flavor to be rich. Don’t forget to enter the giveaway located on Monday’s welcome post. I'm anxious to see what you make with this…great teaser….